Lufthansa Drastically Cutting First Class Capacity… Again! Lufthansa has been refreshing their longhaul fleet over the past several years in an effort to become more competitive and improve their profitability. This included installing a new (mediocre) business class product, new first class product, and adding premium economy. Lufthansa is now done with their first & business class overhaul, though they’re still partly in the process of installing their new premium economy product. For the past several years Lufthansa has been cutting their first class capacity. This started in 2013, when Lufthansa announced that they wanted to remove first class from ~20% of their longhaul fleet. At the time, those cuts were supposed to come from their A340-300 and 747-400 aircraft. All A340-300s would be reconfigured without first class, while select 747-400s would have their first class cabins removed when the new business class product was installed. Unfortunately that was just the beginning. In 2014 it was announced that Lufthansa would eliminate first class from all of their 747-400 aircraft, which is quite sad, since the plane had a unique first class product, with a separate seat and bed. Between those two changes, the number of Lufthansa planes without a first class cabin increased greatly yet again. Well, Lufthansa has just announced even further cuts to their first class capacity. 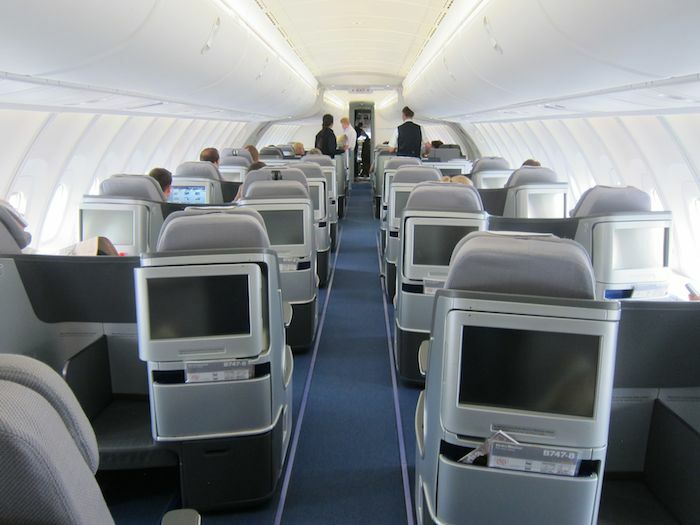 Via airlineroute.net, Lufthansa has closed reservations for first class on several routes out of Munich starting this year, as Munich’s entire A330-300 fleet will be in a three cabin (business, premium economy, and economy) configuration by the summer of 2017. If my math is right, by the time these planes are reconfigured, only about half of Lufthansa’s longhaul fleet will feature first class. This includes all A380 and 747-8 aircraft, as well as select A340 and A330 aircraft. That’s a sad development for sure! Back in the day Lufthansa first class was my favorite product, and probably also the one I flew most often. Perhaps I’m biased since my whole family is from Germany, but I’ve always found there to be something special about their first class product. The thing is, their new business class product is still pretty uncompetitive, so it’s a bit frustrating that when these planes are reconfigured without first class the premium cabin experience will be pretty sub-par. It’s one thing if Lufthansa installed a great reverse herringbone seat or Apex Suite in business class, but instead they have a not-so-great product. But I guess that follows the industry trend in general. Airlines are largely adding premium economy at the expense of first class, and that simply reflects the cycle the industry has gone through, given how much better onboard products have gotten — nowadays many good business class hard products are as good as first class used to be. Lucky – any idea what will happen in Denver? A330 service starts to Munich in a couple of weeks. Assuming it will start with a first class cabin and then be reduced over time? It seems to me Lufthansa has always tried to distinguish its first class (which is great) as much as possible from its business class (which isn’t great). There was an interview with the CEO a few years ago which made clear they didn’t want to offer flat beds in business class and only did it because of competitive pressures. The fact they’re removing F from so many planes suggests this strategy wasn’t effective at driving demand for first class, so maybe they’ll put more effort into making their business class truly top-notch. But that requires a complete revamp of the hard product, which I’m guessing wouldn’t begin until the end of this decade. It seems to me that perhaps the airlines are realizing that people sitting in first class are rarely paying the first class fare because they’re upgrading, using miles etc. I’d bet if there’s 10 people in first class then only 2 are actually paying for it. Combine this idea with the devaluations we’re seeing and it’s easy to understand why there’s less need for first class seating. So now Cathay or Singapore biz is almost as good as Lufthansa first, who would ever pay the ridiculous cash premium? For that matter, if you have that much money to burn, why not fly in Singapore or Middle eastern airline first class suite? They should just cut almost all first completely and instead have a competitive, and fairly priced business class…..if they don’t plan to make their first experience an all-out affair like others. @ Evan — Yep, they’ve also eventually zeroed out first class inventory for Denver, though that wasn’t part of the AirlineRoute update. @ 02nz — Totally agree. Well said. Does this mean in the long run their famous F terminal in Frankfurt will be closed? @ Dani — There will still be a good amount of first class out of Frankfurt, and for that matter the terminal is also largely for HON Circle members, which is Lufthansa’s top tier status. So I doubt they’ll get rid of it. @ william — The flight is only seasonal, so I suspect they’ll cut first class on the route after this summer. What do you think I should do? I’m booked out of DEN for DEN-MUC-DEL in First Class in Dec for 2 px using LH miles. Do you think I should wait to call? Or call and asked to be rebooked on some other flight? I really don’t want to pay the miles or taxes for LH business class. Hey Lucky, just one more question as I’m actively looking to book a couple LH seats. Looking at seatuguru I see that one of the a330 configurations has a first class seat with only 21″ of width. While the other two have 31″ inches. How can I be assured which flight has the larger seat? or do they only fly the larger seat to NA? specifically, obviously asking about the YVR-MUC flight. thanks again. Any word on when First Class to EWR will end? I’m looking to fly them later this year as well as next year. The seat map you refer to with the 21″ seat width is with the old first class on Lufthansa, which doesn’t exist any more. All flying aircraft have the new one. This effectively eliminates LH First Class from Canada. Might not buy Lifemiles during next round. when was the last time you’ve flown them in first? I wonder what their plans are for the first class lounge(s) in Munich. they are building a new second first class lounge. Will they have any first class flights left out of Munich? It’s very disappointing news indeed. I had recently started flying the Munich routes to Montreal and Toronto in First. Actually I’m sitting on LH474 right now about to take off from Montreal and I’m the only passenger in First. So not surprised. I avoid LH like the plague. Overrated. From my 1st oversea flight to Europe with surly FAs over 30 years ago to a recent Business Class seat where a tray of food with pomegranate sauce was dumped on me (LH was VERY generous with $25 dollar duty free coupon). Issue is not airlines it is airports. Antiquated slot/time restricted airports. You need an integrated(single) terminal airport with FSC concourse and LCC concourse. Facilities, shopping, dining and entertainment options should be appropriate for the concourse and charges for LCC carriers should be lot cheaper. In that model, LH can operate from FSC concourse and Eurowings/Germanwings can operate LCC concourse at same FRA terminal. US-Asia pax may arrive on LH for USA-FRA but can connect to Eurowings/Germanwings to FRA-Asia. Now FRA is for FSCs and MUC is for LCCs (or) low yield FSC routes. Fragmented model never going to work. Idea is far fetched, only Changi comes close implementing such model. Hopefully some European country will built a new airport away from populated areas. Again wishful thinking. I think this is a reasonable move. 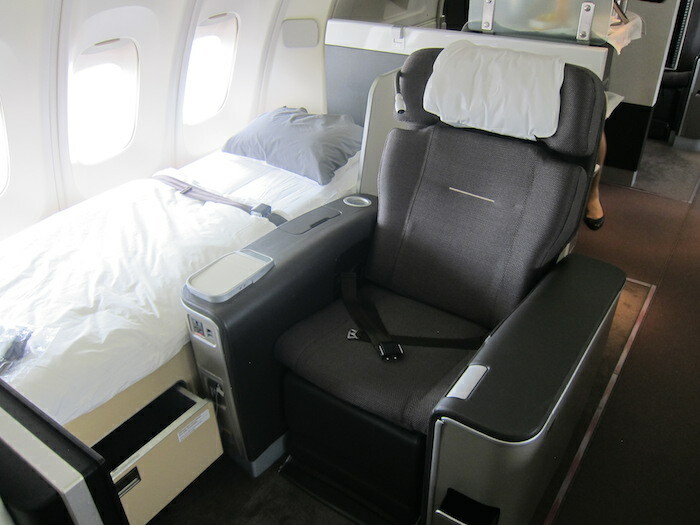 All Lufthansa planes (which actually feature first class) have 8 first class seats. On most of their routes (usually out of Munchen) the First class is 1/4 full, which of course is ridiculous and unprofitable for Lufthansa. On the other side this is something great for passengers. Cause if they are in 2 in a cabin for 8, every passenger then gets 4 seats for himself (1 for seating, 1 for sleeping and other 2 to spare). This is fantastic for passengers, and something I appreciate too, but it’s not so good. So I sort of understand Lufthansa’s decision. The new business class is actually better than it seems. Recently flew it on the A340 from DUS to EWR. It’s actually quite comfortable for lounging. Sleeping is a bit difficult but that might have been because it was day flight. Food and service was excellent. I was pleasently surprised. The new LH HON lounge was just opened this week. More on LH website. What the elimination of most LH F seats are concerned, it is understandable. F class has mostly been filled with none rev. upgrades if at all. That is the reason most US carriers have dropped their F class in favor of paid biz. Seems like the party is over here too. Unfortunately. This is pathetic. lufthansa is trying to imitate North American carriers! Europe’s first 5 star airline my a**! MUC-YVR (our twice yearly route) is still shown as offering F-Class on 340-600’s (3 days per week) starting with their May to October 2017 seasonal service. The 330’s that fly the other four days are without first class seating. Is there an easy way to track down a list of First Class destinations I/O MUC? We’d like to use MUC as a First Class hub (if you will) to Asia/Europe but it’s difficult to figure out where LH still offers that service. If it’s of any interest, MUC-YUL was showing availability daily right into early 2017 a couple weeks ago and I booked 4 separate dates. I have flown the route three times in the past couple of months and I have always been the only passenger in the cabin. However, I think it’s being cut some time next year. I just booked an F seat on MUC-YYZ the second LH opened up its cabin to partners (15 days ahead of time for once) and a quick check on the LH website shows just two of the eight seats are occupied. I can see why they’re slashing capacity but it makes me sad. I’ve been checking nervously for weeks now but out of MUC, F has regularly been wide open to both YYZ and YUL. I haven’t’ flown LH in First Class since a couple of trips on the upper deck of 747 in the early 1990s and can’t wait for my flight. I doubt he travels 400K miles , seems impossible going back and forth from North America to Asia every week.